Shibby Pictures is the production company of filmmaker Jak Kerley. Maybe it’s because of his disinterest with the industry, or maybe it’s because of impatience, Kerley foregoes the film festival circuit in order to host short, intimate film screenings all over the world. 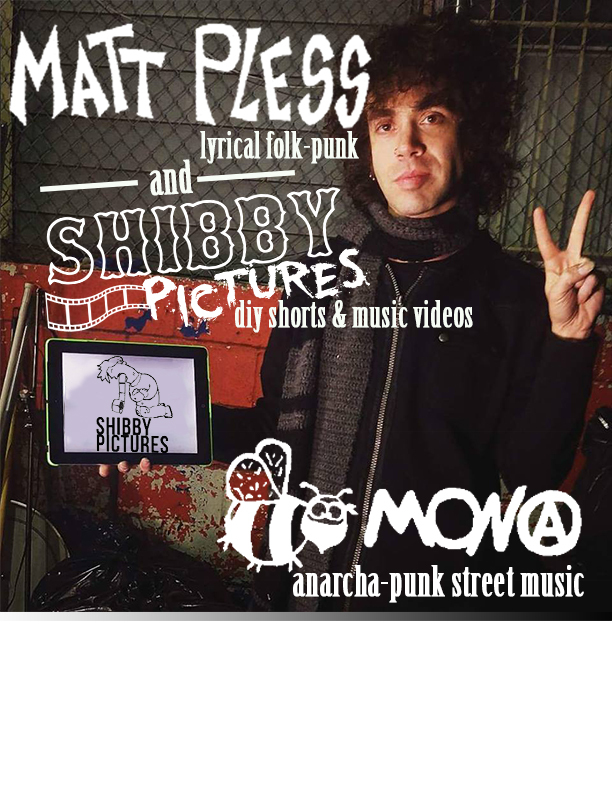 When it comes to filmmaking, Shibby Pictures maintains a strong DIY ethic. Having a DIY ethic means having the ability to produce a quality production with little-to-no budget, crew, or other resources. The main themes behind Shibby Pictures’ works are communication and vulnerability, with a hope to make other feel less alone. Shibby Pictures hand-prints our own shirts and patches, and self-distributes all videos and movies on their own terms, which has been met with great success in the past several years, resulting in over three million views on all of our videos, and over 15,000 subscribers, with a constantly growing fanbase. For years, Jak has immersed himself in the DIY punk scene, shooting music videos for bands like Leftover Crack, Days N Daze, and Mischief Brew, and dozens more. He is also known for his widely-viewed documentary on DIY culture, “Trying It At Home” that was released in 2014. In addition to all of this, he has shot 3 feature-length films and several short films. In 2013 he began touring all over the world, hosting screenings of his work in art spaces across the planet. These tours have seen Jak hosting screenings in places like beaches, a racquetball court, a cave, and batting cages. To this date, Jak has hosted screenings in 35 different states and 17 different countries. In 2018 he released the short documentary “Baseball Punx” that received international attention after a premiere on ESPN’s music blog.